For a serious workout, book one of our experienced personal trainers, Aki, Dale, or Sharon, who will help you develop a custom tailored workout for your body an goals, and will be there to keep you motivated. No pain, no gain! 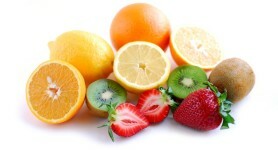 Visit our Health and Nutrition Coach Katie Garrett for help with a diet that conforms to your busy lifestyle. Call for details. 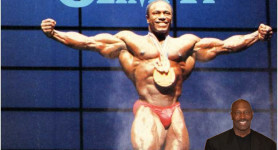 In August of 2014, Body Vision Fitness Center celebrated 15 years with Lee Haney, 8-time Mr. Olympia. 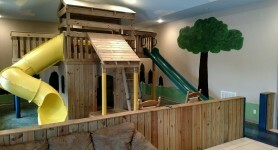 Let your kids chill out in the playground while you get your workout in. Call to inquire about times. Make your muscles beg for mercy. 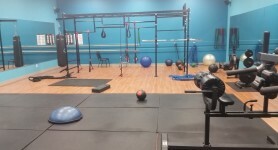 Try the new intense functional training equipment. Tanning is now included in all contract prices. Unfortunately, Body Vision can no longer provide tanning services to non-members. 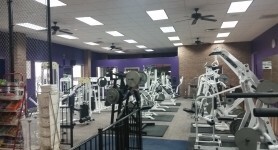 Body Vision Fitness Center has been voted “Dekalb County’s Best Place to Get In Shape and Lose Weight”. Come see why our fitness center continues to draw a crowd. Not only do we have great facility, but we also have great Staff. Aki Ishiwatari has been voted “Dekalb County’s Best Personal Trainer”. Whether you are about to start a long cardio session, or you are cooling down from a draining leg workout, grab a refreshing ice cold smoothie at the Groovy Smoothie Bar. Choose from a variety of flavors and supplements. Body Vision Fitness Center houses an www.coap.org heated pool. Swimming is a great was to jump start your metabolism in the mornings. Aerobic workouts are they key to a healthy workout and, along with diet, can lead to a successful weight loss plan. No matter your intensity level, Body Vision offers a class for you. 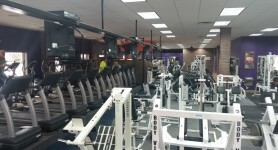 The fitness equipment at Body Vision Fitness Center is top-of-the-line. From our comfortable treadmills with incline/decline to our cable machines and dumbbells.